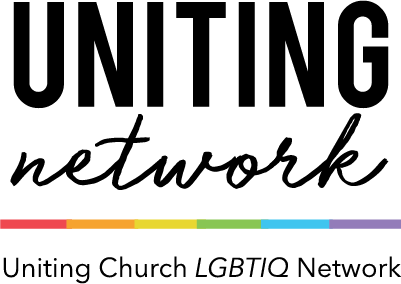 Uniting Network, the LGBTIQ network within the Uniting Church of Australia, is not surprised by the horrendous impact on members of the LGBT community reported in a study entitled, Preventing Harm, Promoting Justice – Responding to LGBT conversion therapy in Australia, which was released this week. • All have experienced a profound sense of loss at the lives they had taken away from them. •Prohibit both professionals and other people from processes that aim to change, suppress, cure, heal, or repair a person’s sexual orientation or gender identity. Any person breaching such a prohibition should be subject to significant criminal charges. • Add clauses to Commonwealth Government Chaplaincy funding agreements prohibiting any attempt to change a school student’s sexual orientation or gender identity, either directly or by referral, and establish training programs that all such chaplains must complete on the potential harm to children through such conversion therapies, and failure to validate their sexual orientation or gender identity. • Make Counsellors a protected title under the Health Practitioner Regulation National Law, requiring Counsellors to be registered with an appropriate oversight body, established in association with APHRA and in NSW HCCC/HPCA. A code of practice should state that providing LGBT conversion therapy, and not supporting a person’s sexual orientation or gender identity, is a breach of professional standards. Further, and outside of the report, we call on all religious organisations to denounce the ‘call to celibacy’ for LGBT people, which is another form of abuse being instituted by some religious organisations, as they have realised the unacceptability of ‘conversion therapy’. Finally, we call on all religious organisations in Australia, to explicitly state their rejection of LGBT conversion therapy, and any statements along the lines that LGBTQ people are disordered, broken, or otherwise not whole individuals. It is our view that involvements in activities such as ‘conversion therapy’ and these types of statements fail [to] uphold the fundamental premise and hope provided by Jesus Christ, who calls all of us to “Love God and to Love one another”, with no exceptions”.